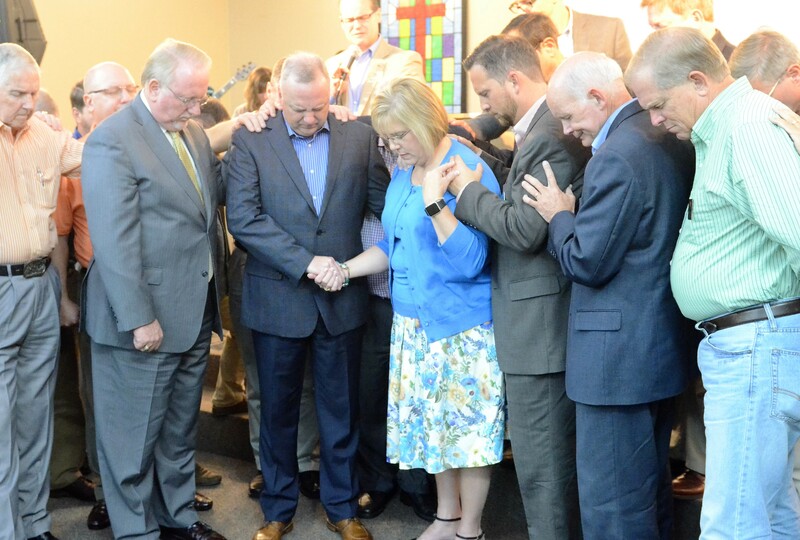 State Board of Missions members pray for newly elected executive director-treasurer Tommy Green and his wife, Karen. Karen and I express our profound gratitude for the manner in which we have been embraced by our Florida Baptist churches during the first year of our service with the Florida Baptist Convention. Thank you for allowing me the incredible privilege of leading the Florida Baptist Convention. My heart focuses upon ministry within the local church. The Florida Baptist Convention exists for the churches; and we have aligned our ministry and resources to the church. Our commitment is to partner with our churches as they fulfill the Great Commission. This local and global strategy is fueled by the Cooperative Program. The upward trajectory of CP giving in Florida releases more dollars to Southern Baptist Convention mission causes than we retain within Florida. 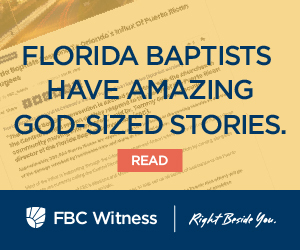 Your response to the 51-49 percent funding formula between the SBC and Florida has been amazing. The receipts through June are nearly $1.2 million ahead of budget. We are fully committed to take the next funding shift of 55-45 percent when we reach $34 million in CP receipts. Florida Baptist churches continue reaching individuals for Christ, reporting over 27,000 baptisms this past year. We continue to plant and revitalize churches. It is encouraging to report that your CP dollars have partnered with over 70 churches from January to June for planting and revitalizing. God is moving across Florida through our amazing churches.